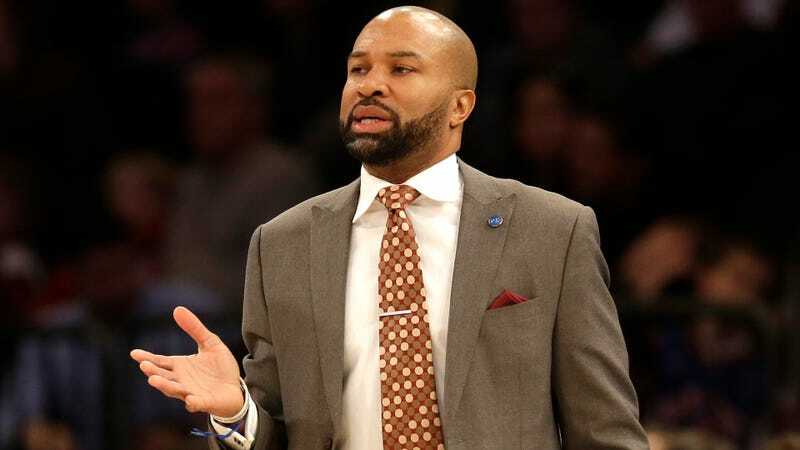 Former Knicks coach Derek Fisher was arrested on suspicion of driving under the influence after crashing his car on a Los Angeles freeway early this morning. Fisher, who played 18 years in the NBA, was driving with girlfriend Gloria Govan in the passenger seat. Neither was injured. The crash occurred a little after 3 a.m., when Fisher allowed his 2015 Cadillac to drift off the road until it struck the guardrail and flipped onto its roof, according to a report from the Los Angeles Daily News. Fisher has not coached in the NBA since being fired by the Knicks last year. Govan is a former lead on the VHI reality show Basketball Wives LA for her relationship with Fisher’s former Los Angeles Lakers teammate Matt Barnes, which has been the cause of considerable drama, threats of violence and petty Instagram posts.